I am currently in the process of collecting exemplars of the Ontario Extend module activities for an in-development activity bank. It’s looking pretty slick thanks to the Internet construction machine that is Alan Levine (aka cogdog). Stay tuned for that! I thought it couldn’t hurt to do a couple myself. This is the last one, I swear! I did one yesterday, too. This is my take on the Extend activity at the bottom of this page in the Teacher for Learning module. See the module itself for the ol’ how-to do it stuff. Try watching a TED talk or conference keynote video yourself to practice your own note-taking skills using Cornell Notes. I took this opportunity to revisit one of the most wonderful keynotes I’ve ever had the pleasure of experiencing. Thank so much to Robin DeRosa for Periscoping it so that I was able to relive this! Gardner Campbell from the 2016 Open Education Conference in Richmond, Virginia. Gardner discusses insight and how we might be able to stop stifling it so much in higher ed. My Cornell notes are below, but ignore those and watch the periscope. I still think about it often, 15 months later. Layers upon layers! -Gardner introduces smokejumper story. Robert Wag survived a forest fire bc of insight. The others perished because they couldn’t believe it. -insight was to start another fire before he jumped into it. it would burn out before he landed and he would be ok. it worked. others didn’t believe him so they died. neurons in the right hemisphere are less precise but better connected. -showed a student response to the eureka hunt. boring and uninsightful. not the students fault as it was what was asked. it was the asking that did not allow for insight. summary and response and insight maybe don’t mix. Deadly Mantras of student success: students don’t do optional, define more pathways, we need to graduate more students (students graduate we don’t do that to them), our students are our products. -will it scale? if we want it to. See, my note taking is suspect. 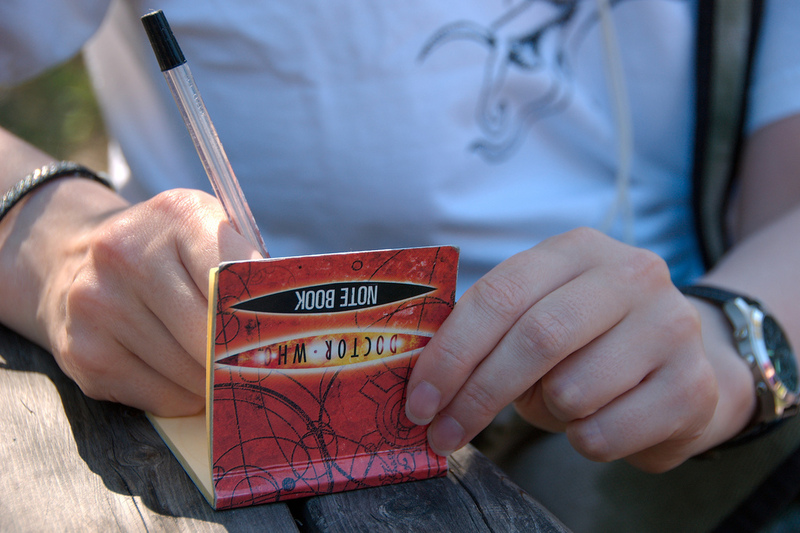 But in the Cornell note-taking style, it’s easier to find out that you should take your own, better notes! OH and if YOU would like to add an exemplar of your own to any of the Ontario Extend module activities, even if it’s something you’ve already done, please let me know by commenting below! This page of the Ontario Extend Collaborator Module includes words that, when you read them, make your brain think that you might want to create an image of a dining table representing a project that you’ve worked on. 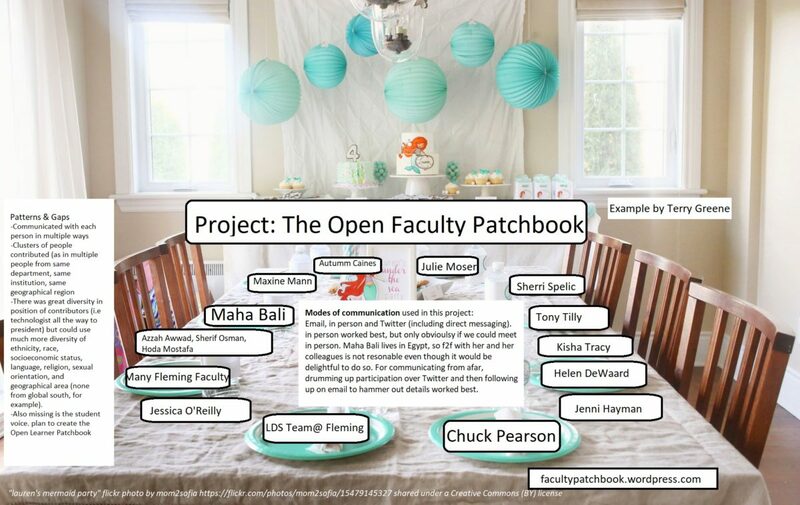 Using the latest of bare bones basic visual editing software (Microsoft Paint for Windows 10) and the wonderful people of the world who openly licence their photography, I was able to piece together the dinner table for those involved in the making of The Open Faculty Patchbook. In reality, this meal would cost a bit over my budget since I’d have to fly people in from Tennessee, Ohio, and Cairo. Oh and hey! Check out The Open Learner Patchbook and let me know if you know anyone who’d like to be at that dinner table by commenting below. Who’s at your collaborative dining table? Yesterday morning I had a moment where I realized I wasn’t too sure what to do next, work-wise. So I decided to take the moment to check in on Benjamin Doxdator‘s writing, because that stuff will fill you right up with things you maybe need to think about. It’s so good. I think I was drawn to click on a post called “What Should Give Educators Pause in 2018” because I was kind of taking a little pause from just constantly trying to “do stuff” and taking a moment to read a few things. I mean, obviously I check out and read things often enough, but I haven’t been consciously telling myself to stop and take in rather than just trying to keep putting things out there. As a self-described open educator, I want to remind myself to take and take as well as give from the commons that we have. And by take, mostly I mean take in more the openly shared thoughts, ideas and plans that open educators tend to share on their blogs or podcasts. Benjamin’s post was a two phase thing in which he originally asked people to contribute audio about “what should give them pause” and he then put it all together into a podcast and updated the post with the final product. It’s a wonderful, peaceful piece with eight responses from around the world. I especially enjoyed joining Alan Levine on a walk with Felix. It just so happens that later that day I was chatting with Helen DeWaard and she brought up something that fell together with Benjamin’s “productive interruptions”, for me. That was the #OneWordONT challenge in which you choose a word to focus on for the year. Helen chose “frames” so she will spend the year being cognizant of the frames she sees the world through and see if she needs to do something about it. I am going to take a simpler route and choose “pause”. 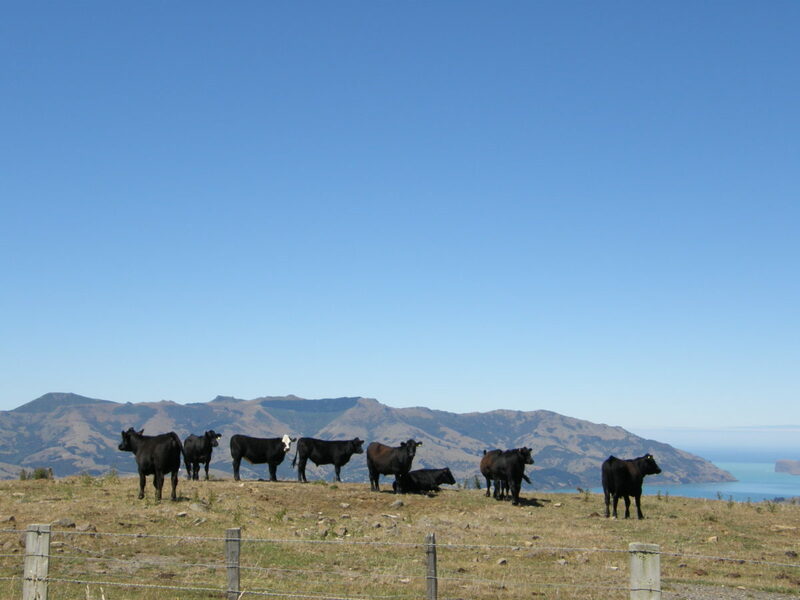 I’ll take a cue from the cows above and look at the vista views. I’m going to interrupt myself when I feel the wheels are spinning, stop, and just take in what’s around me. I guess I don’t have an answer to Benjamin’s question “what should give educator’s pause?” other than to say, “Good idea! Let’s pause.” Maybe I’ll even pause the pause to track what I’ve read during these little pit stops so I can see how productive my interruptions have been.